The Isle of Man has tonnes to do! From outdoor hikes to exciting sea adventures and rainy day activities, start planning your perfect day out with the list below. Within this spectacular 'playground', Adventurous Experiences promote and facilitate real, sustainable adventurous experiences, predominantly on the Isle of Man; maintaining high standards of safety, fun and learning. 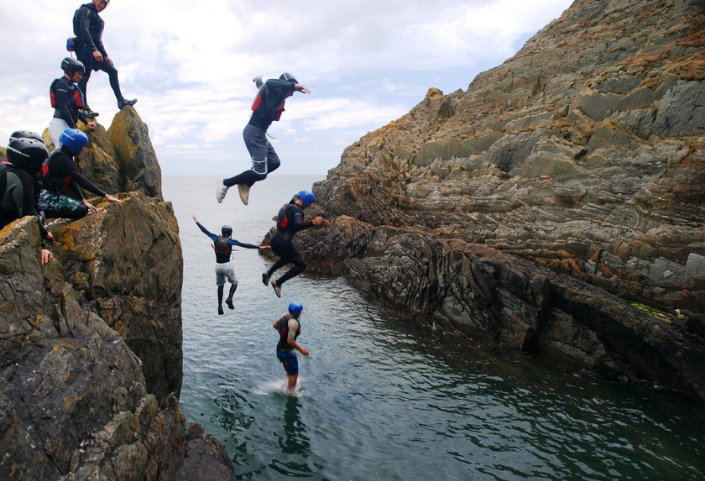 They offer sea kayaking, coasteering and gorge scrambling. Set in one of the Island's largest plantations, South Barrule, Ape Mann provides activities for the whole family. Find your way through the rope courses, crawl through the sky barrels, take on the leap of faith, and whiz down the long zip-lines. 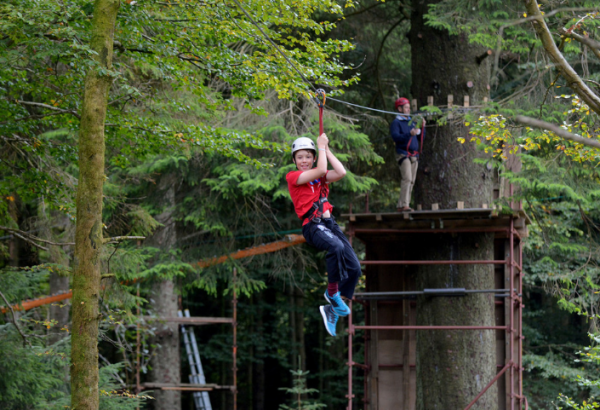 The adventure park also includes one of the UK's highest sets of Monkey tree climbing hardware which is a challenge for anybody with a head for heights. Whether you are looking for an escape for a few hours, a birthday gift for a friend or loved one, a corporate experience to share with your colleagues, or just want to have a go at making bread or exotic Thai and Indian dishes, why not book a course with Vivaldi Catering. Anything is possible! Curraghs connects people, wildlife, nature and community, to inspire passion for the natural world and its conservation. The Dance & Fun Factory, offer many great and exciting things to entertain your children. They offer a meal deal which incorporates entrance fees and meal for your little ones. Offers include MUM's & TOTS group and a multi-award winning dance studio. A new, innovative and unique location on the Isle of Man, within the grounds of the Nunnery is the Dome which offers an immersive ‘Full Dome’ cinema, planetarium and arts installations. Pop-in and play at this soft play area within the Villa Marina. Play is suitable for children that are 4ft or under or children up to and including 7 years of age. Looking for a challenge? Bring your group to the Island’s Live Escape Rooms. Located in Douglas, Exit Strategy has a range of rooms with different difficulties. Can you escape? A great adventure for kids and perfect for birthday parties. The fun Barn is complete with ball pits, slides, and tonnes of areas to explore. Relax in the cafe and enjoy their range of meals and beverages. Join the world’s largest treasure hunt with 785 geocaches around the capital of Douglas. Hot Rocks Indoor Climbing Wall Isle of Man has a number of different climbing and related activity areas. You can enjoy monthly, weekly or single memberships. Isle of Man Trike Tours have a great many tours to choose from, but their most popular involve the 37.75 mile TT Mountain Course. The course weaves in and out of some of the Island’s picturesque towns and villages whilst also making stops at historical landmarks for the TT. Jump Zone is totally and completely unique; you will have an experience like no other. Being the first of its kind on the Island, and suitable for all ages, Jump Zone offers jump times, a café, and birthday parties. Laser-Mayhem is operated by Ex-Soldiers, that combined have over 35 years of experience with backgrounds in Special Forces. This outdoor arena combines real world tactics and fun for an amazing experience. Get ready for the ultimate adventure. Challenge your friends and family at Laser Blast’s indoor arena with black lights, glowing walls and lots of places to hide! The estate is owned by the Milntown Trust established under the terms of the will of its previous owner and benefactor - Sir Clive Edwards. Visit this beautiful building’s café, gardens and estate tours. Onchan Pleasure Park is located in the district of Onchan at the north end of Douglas Bay. The park offers all visitors a great day out with facilities that are suitable for the whole family including motor boats, bumper boats, go-karts and crazy golf. Located on Ramsey’s sea-front you’ll find Pepsi Max Bowl. They have 10 lanes, pool tables, table tennis, air hockey and a soft play area for the little ones. Quad Bike Mania offers two hour quad bike experiences in the hills of South Barrule. Day and night time tours are available. Segway Isle of Man is an official licensed Segway tour operator on the Isle of Man since 2012. They are a small owner operated business and aim to provide a unique and unforgettable tour experiences. The Venture Centre, the Island's Premier Outdoor Activity Centre was founded in 1981 and has been run since then by the Read Family. The unique location of the Centre makes it an ideal venue for a wide range of outdoor pursuits including archery, coasteering, air rifle, sailing, assault course and many, many others.